E. Russell McAllister, M.Acc., M.B.A., C.M.B.A. Mr. McAllister brings more than 15 years of business development, corporate finance, leadership and strategic advisory experience to the management team at Intezyne. Previously, Mr. McAllister served as the Vice President of Finance for Qu Biologics, a Vancouver, Canada-based clinical-stage immunotherapy company focused on the development of a novel immunomodulator platform technology with applications in both oncology and inflammatory disease, and, prior to that, as the Chief Financial Officer for Lakewood-Amedex, a clinical-stage infectious disease company focused on the development of novel antimicrobial and nRNA platform technologies. Earlier in his career, Mr. McAllister worked in both New York and San Francisco as a Managing Director of Healthcare Investment Banking at H.C. Wainwright (formerly Rodman & Renshaw) and various other healthcare-focused banks, where he engineered the private and public offerings and/or turnarounds of numerous micro- and small-cap biopharmaceutical companies, successfully raising more than $1 billion in capital for his clients in the process. Prior to moving into investment banking, Mr. McAllister worked as a Senior Biopharmaceuticals Equity Research Analyst at Thomas Weisel Partners and Merriman Curhan Ford & Co., where he received 5-star ratings from StarMine. Mr. McAllister began his career as a Senior Accountant in Forensic Services at PriceWaterhouseCoopers. Mr. McAllister holds Masters degrees in both Accounting and Business (Finance) from Northeastern University and dual Bachelor of Arts degrees in Economics and Asian Studies from Rice University. Mr. McAllister was also a fellowship doctoral candidate in Behavioral Finance at the University of Illinois. 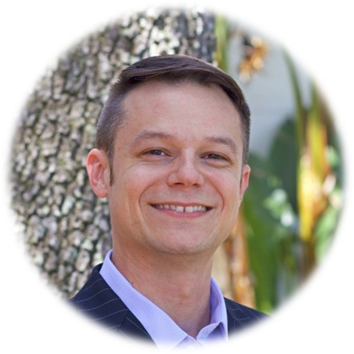 Adam Carie, Ph.D. serves as Director, Product Development where he helps identify compelling product development opportunities, leads internal formulation efforts for potential product candidates, and manages relationships with key external development partners. Dr. Carie joined Intezyne in 2008, subsequently establishing programs for formulation development, analytical and bioanalytical chemistry, and in vivo models for toxicology, pharmacokinetics, and antitumor efficacy. Dr. Carie has a proven track record of successful grant and contract funding from SBIR and STTR programs from NIH/NCI and has authored numerous peer-reviewed scientific articles and patents. Dr. Carie earned his doctorate in cancer biology from the University of South Florida focusing on drug discovery for novel molecular targets and pathways in oncology. He studied under Dr. Said Sebti, Chair of the Drug Discovery program at Moffitt Cancer Center in Tampa, Florida. Bradford Sullivan, Ph.D. serves as Director, Chemistry, Manufacturing, and Controls (CMC) where he oversees manufacturing for Intezyne's IVECT polymers and active pharmaceuticals ingredients (APIs), providing crucial inputs to Intezyne's rapidly accelerating development efforts. Prior to joining Intezyne, Dr. Sullivan completed his post-doctoral research at the University of Florida with Dr. Jon D. Stewart where he utilized gene mutagenesis and x-ray protein crystallography to guide rationale protein engineering projects aimed at developing enzyme catalysts for asymmetric organic synthesis and enhancing heat stability in maize. Dr. Sullivan is the author of over 20 scientific articles, reviews, and patents in both biological and chemical fields. Dr. Sullivan earned his doctorate in biotechnology with a focus on organic chemistry from Brock University under the supervisor of Tier 1 Canada Research Chair, Tomas Hudlicky. Dr. Sullivan’s doctoral research concentrated on the chemoenzymatic total synthesis of a variety of pharmaceuticals including oseltamivir (anti-influenza), balanol (protein kinase antagonist), and codeine (analgesic).